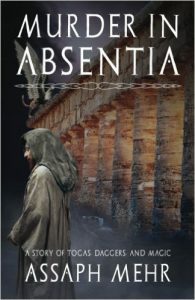 Murder in Absentia by Assaph Mehr (UK link, US link) is a strange mixture of high fantasy, murder mystery, and historical novel, with a bit of action adventure thrown in for good measure. The protagonist, known as Felix, works as an investigator in a fantasy world inspired by ancient Rome. He has some training in magic and a reputation for discretion, so when the son of a prominant citizen is found dead under mysterious circumstances, Felix is brought in to investigate. In many ways, the story has a lot of the hallmarks of a standard murder mystery, with a dead body, leads to follow, a number of suspects, and some red herrings. At the same time, it also has an interesting and unique approach to the fantasy elements. The Roman-inspired setting is one I’ve not come across in a fantasy world and it gave the book a sense of originality. It’s clear that the author has done a huge amount of research into the history to create a world that feels authentic and internally consistant. There is a lot of background detail in everything from the miniatudes of daily life to the bigger picture view of history, trade and government. There are occasions when it feels that there might be too much detail (with discussions between characters on the creation of a specialist fish sauce, a lot of lists of the specific foods eaten at meals, and paragraphs of exposition explaining the political history of key locations) and there were a few points in the book when I wondered if maybe the author should have toned down the background information, but the end result is a fantasy world that feels grounded in reality. You can really believe in the people, the places, and the reality of existence in such a place. One problem with such a realistic setting, given the historical source, is the subject of slavery. This is a very sensitive topic and the author can’t avoid the fact that slavery was a fact of life in the historical period that is acting as a source for this fantasy world. It is a very difficult challenge to create a protagnist who would consider slavery a normal part of life without making that protagonist instantly dislikeable. Felix wasn’t cruel or mean to slaves, and at times treated them with the same courtesy and respect as the free citizens in the world, but it’s still difficult as a modern reader to connect to a protagonist who uses slave labour and watches brutal gladiator matches without a twinge of remorse. The situation is helped somewhat because Felix does acknowledge that slaves are very much people, with their own desires and ambitions, and on more than one occasion he contributes to coins that the slaves are saving up to buy his freedom. The other challenge with this book was the use of Latin terms. The author makes use of Latin words in places, liberally scattered through the text. While this adds to the sense of authenticity when talking about the colleges and politics, it also proved a challenge. Many of these terms could be worked out from context, others I dredged up from my memories of GCSE Latin, but there were times when I was thrown out of the story while I tried to work out what a word meant. A bit more explanation in English to translate these terms would have been helpful. 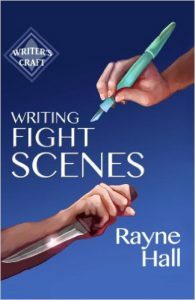 From a plot perspective, the book is a nicely constructed murder mystery, with Felix travelling around to investigate, following leads, and gaining new information as the book progresses, providing more clues. The story is definitely a murder mystery first and foremost, and it was the mystery that kept me turning the pages to find out what happened. I didn’t really connect with Felix as a character, so this isn’t going to make my favourites list, but if mysteries and complex worlds, give this one a try. Three and a half stars.